Kiyomi Leslie On "Toxic" Bow Wow Relationship: "Let Me Be Happy"
Home>Music> Kiyomi Leslie On "Toxic" Bow Wow Relationship: "Let Me Be Happy"
When you love too hard, it can fall real fast. Kiyomi Leslie and Bow Wow's relationship was very public, albeit short-lived. 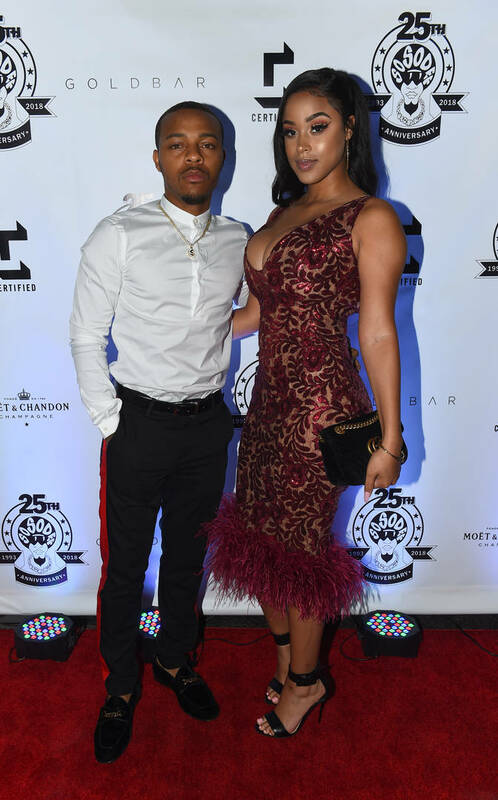 Their breakup exploded along with Bow Wow extraverted reactions to their challenges via social media, including his tweets about desperately missing his boo. Apparently, this comment and others events surrounding their relationship were misinterpreted or simply false. Kiyomi sat down to discuss the evolution of her relationship with Shad Moss, through all of its phases. According to the aspiring artist, the situations they were in as a couple were already toxic in themselves. "I think social media so fast for our relationship was toxic because I felt like I had to fight to prove myself and when you have to fight to prove yourself, eventually, you get tired of it. And you just say what the hell." She stated that this scenario can cause someone to "play into" the drama: "So this is who you say I am. Let me play this part then." "He was into the antics [...] He would rather me play looking crazy than tell the world, this is not the girl I fell in love with. This is just TV." Kiyomi also explains how she was manipulated behind the scenes of the show to cause natural reactions that would be filmed and televised out of context. Peep the full video below. MUSIC Kiyomi Leslie On "Toxic" Bow Wow Relationship: "Let Me Be Happy"